As Prime Minister Stephen Harper returns to Canada after his third dance with the dragon, he believes he took the lead for at least some of the time on the dance floor. After he wrapped up a weekend of meetings with all of China’s top leadership, Harper told reporters he’s satisfied with how the trip went. “Look, I’m very pleased with the visit, that on each trip that I’ve done here, I think we have significantly advanced the economic relationship,” Harper said. More than $2-billion worth of deals were signed this past weekend in Beijing, including a new market for British Columbia’s cherries and Quebec’s blueberries. There was also the announcement of a new Chinese currency hub in Canada. Harper also reminded reporters that on every trip, he raises more than just economic issues with his hosts. “You may remember there was some controversy in the early days of this government when we conducted relations with China or any other country there were really three elements. That there were not just economic interests, There are also fundamental human values and also our security interests,” Harper said. It didn’t seem to hurt Harper’s new relationship with China Premier Li Keqiang. The two could be seen speaking warmly, as they watched the welcoming ceremony at the Great Hall of the People. “Next year marks the 45th anniversary of China-Canada diplomatic relations. Our relationship will come to a new starting point, “ he told reporters. That new starting point will also mean more regular meetings. But Canada’s former ambassador to China, David Mulroney says it’s key to dealing with problems as they come up. “To use the opportunity of private meetings to speak frankly about problems,” Mulroney said. And there have been problems in the past two years. After his last visit in 2012, Harper changed the investment rules, making it more difficult for state-owned enterprises to buy up companies in Alberta’s oil patch. Then Canada took two years to ratify the Foreign Investment Promotion and Protection Agreement. And this past summer, the federal government blamed China for a cyberattack on the computers at the National Research Council. A few weeks later, the Canadian couple, Kevin and Julia Garratt were detained, under suspicion of spying. 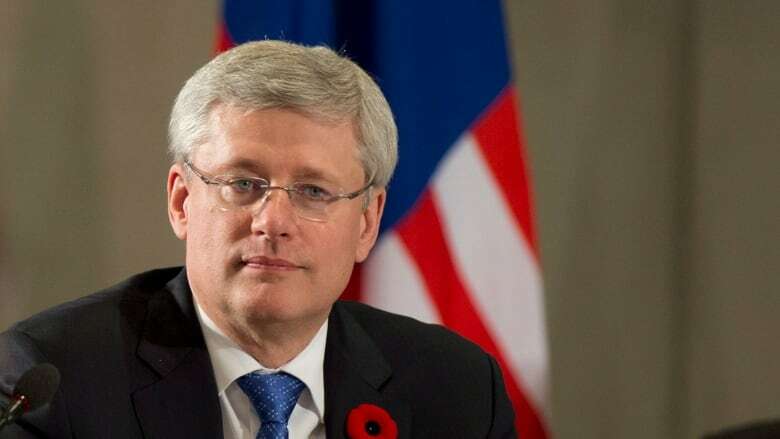 Harper raised their case with both the premier and the president, but there was no immediate resolution. The couple is still being held, in a hotel, in Dandong. Still, as this trip wraps up and Harper heads to the airport to fly back to Canada, both he and his Chinese hosts looked as if they enjoyed their spin on the dance floor.